Candidates participating in the forthcoming elections have been urged to stop selling people promises they will not respect after elections, as this has been a trend with previous elections. Speaking to 263Chat, Zimbabwe Informal Economy Associations (ZCEIA) President, Lorraine Sibanda candidates for treating people like servants while they behave like chefs. “Vendors have been criminalized and had their good confiscated had the chance to talk to the candidates who giving themselves up for the local authorities and parliament in line with what they are going to do for the informal traders,” explained Sibanda. She added that they would like to see a change in the way vendors are treated as they are equally citizens and are the bulk of the electorate. “People want to hear what one has come up with as an individual not a party like a personal five year plan, I urge the candidates to talk to the simplest of people, they are the electorate,” added Sibanda. ZCIEA Secretary General, Wisborn Malaya said the purpose of Town Hall meetings was to allow their members an opportunity to engage with aspiring public office holders before they are elected. “The participation of the members showed by the ZCIEA members and community proved that it was worth it, they really interrogated the candidates and asked questions which shows that people now know what they want,” Malaya. 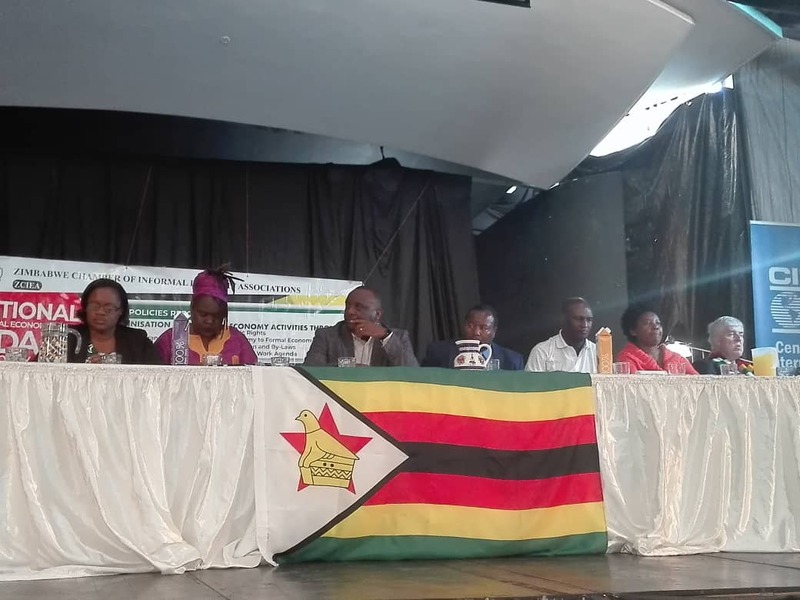 ZCIEA has to date held five town hall meetings in Masvingo, Mutare, Gweru, Bulawayo and Harare with informal traders meeting candidates from various political parties contesting the July 30 local government, parliamentary and Presidential elections.